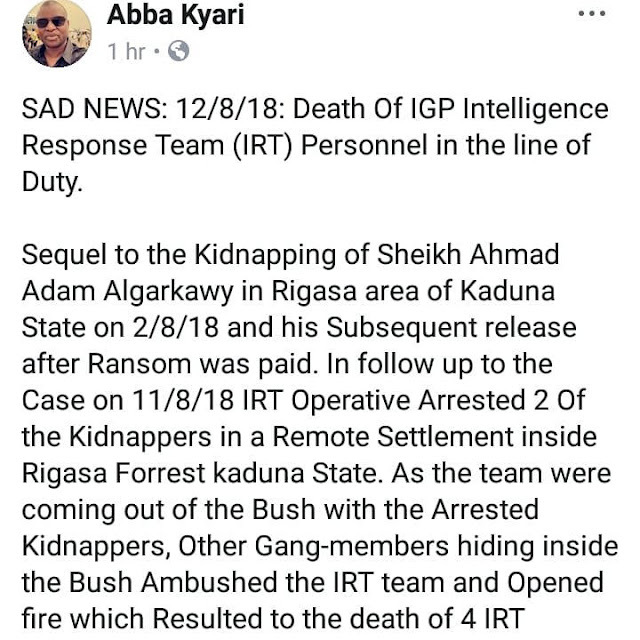 "SAD NEWS: 12/8/18: Death Of IGP Intelligence Response Team (IRT) Personnel in the line of Duty. .
Sequel to the Kidnapping of Sheikh Ahmad Adam Algarkawy in Rigasa area of Kaduna State on 2/8/18 and his Subsequent release after Ransom was paid. 4.F/No. 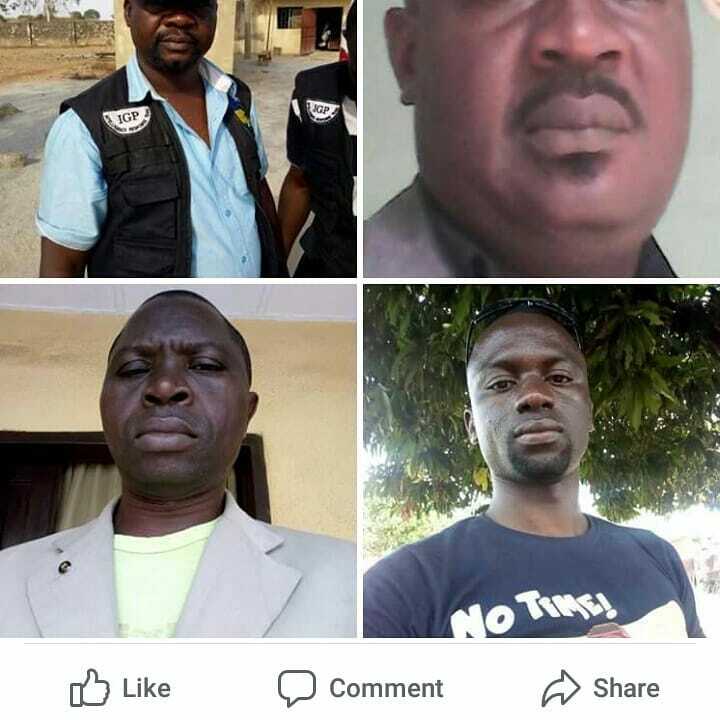 267815 Sgt. 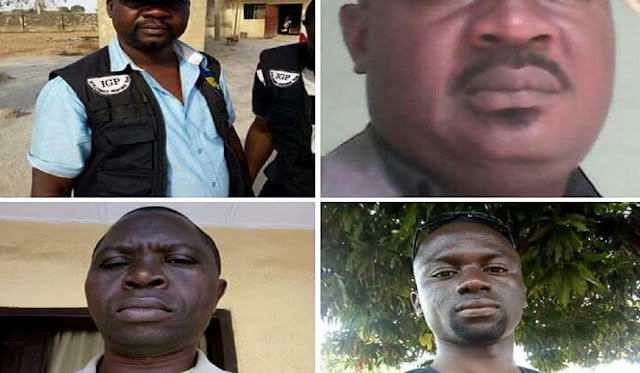 Emmanuel Istifanus. .
Six(6) of the Deadly Kidnappers also died during the Gun-Battle. One Officer was Treated for Bullet Wound and Discharged While the remaining Officers who Survived the Ambush are in Good Health Condition. Very Serious efforts in Progress to get the Remaining killers to Justice. 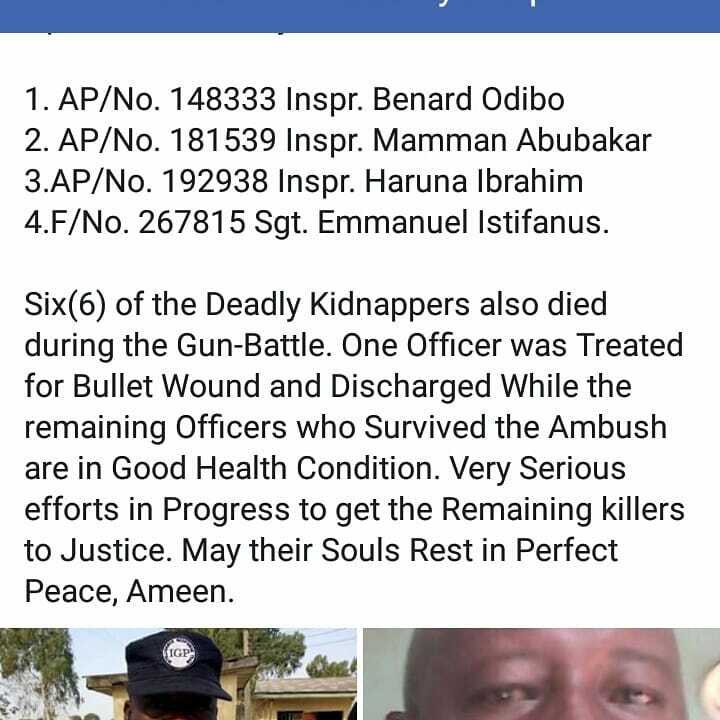 May their Souls Rest in Perfect Peace, Amen.